Thorneycroft Solicitors has a nationally renowned serious injury team that includes highly experienced solicitors specialising in head and brain injury claims and compensation. We have successfully represented clients with brain and head injury claims as a result of a variety of reasons including road traffic accidents, motorbike accidents, medical negligence and birth injuries. We understand that brain injuries can have lasting, life-changing consequences for both the client and their loved ones. We don’t just prioritise getting the highest possible compensation settlement for your claim, we also ensure you get the best possible rehabilitative treatment and that your recovery continues long after your claim is settled. 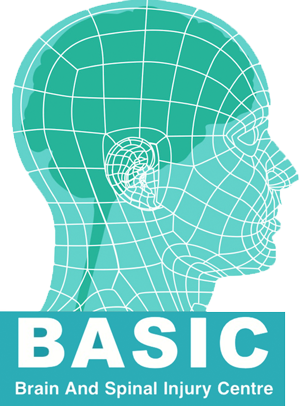 We work closely with medical professionals and a range of charities including Headway – the brain injury association, the Brain Injury Rehabilitation Trust (BIRT) and Brain and Spinal Injury Centre (BASIC) to ensure that we are up to date with the latest rehabilitative treatments and to ensure that you and your family get the best support available. Whilst the circumstances of each head injury or brain injury case are different, at Thorneycroft Solicitors we know that early rehabilitation is always key both in terms of physical recovery and helping the client adapt to home and family life in the aftermath of their accident. Our brain injury solicitors understand both the complex rehabilitation process and the importance of assessing the potential future needs that a brain injury compensation claim needs to take into account. Every aspect of a client’s claim will be thoroughly assessed and investigated. Our team will provide the necessary support for you and your family to guide you through the process and to ensure the best possible outcome. What’s involved in the brain injury claim process? 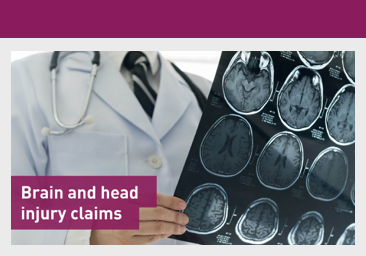 Our nationally renowned brain injury team have developed a particular expertise in identifying the long-term effects of brain and head injuries, and have an excellent success rate when representing our clients in claims that can often be lengthy and complex. Our brain injury team always engage with medical professionals and ancillary experts at the earliest opportunity to ensure that first and foremost, the claim can progress and the client has the rehabilitative treatment in place to help them recover as quickly as possible. We advise clients on the levels of brain injury and head injury compensation appropriate to their circumstances, both in terms of a lump sum and any ongoing financial support that the injured party may require. Where appropriate we will also secure interim payments, to help with any financial burdens that may arise as a result of the brain injury. Coming to terms with a brain injury can be difficult for both the client and their family, and in the aftermath of the accident, it can be difficult to understand what the client’s needs may be. Where appropriate we ensure that each client has a dedicated case manager. The role of the case manager is to ensure they understand what the client’s needs are, both physically and emotionally. A plan will be implemented to help rehabilitate the client and ensure they have the highest quality of life possible. This will involve coordinating support services and treatments that can assist with the recovery of the client as well as providing the essential support that the client’s family may need. 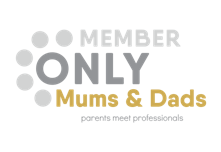 By appointing a case manager for your claim, we hope to ensure you have the support network you need in place and minimise stress as much as possible at a very difficult and challenging time. During the claim process, it may also be necessary for a deputy to be appointed. The role of a deputy in a brain injury claim is to act on behalf of the brain injury client and ensure their best interests are protected. A brain injury can have a catastrophic effect on the brain and in some cases, it can affect their decision-making ability (known as capacity) and as a result, this can have an adverse effect on their wellbeing and personal interests. In these types of cases, it may be necessary for a deputy to be appointed. Often a loved one can apply to become a deputy, or if you prefer our team can provide a deputy to act on the client’s behalf.